Today Mum was in the city staying with her friend Tania for the weekend (at the Hilton no less! ), so it was up to Dad to get a photo for today. Aparently she spent most of the day happily crawling around and chatting, and Dad experienced first hand how difficult it is to get a decent photo of a baby girl with ants in her pants! Haha! 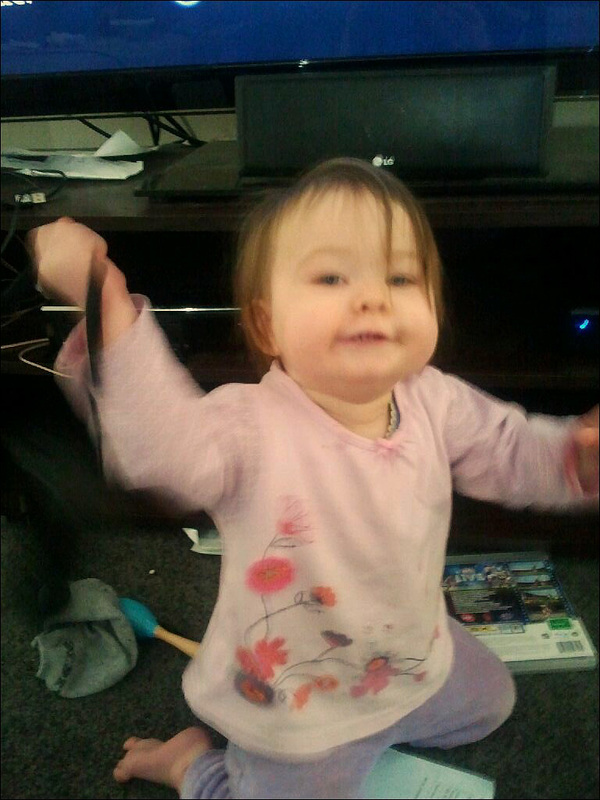 This is her playing with the Wii remote – she loves anything electronic and the Wii remotes are a favourite… Ithink it’s those little blinking lights. Meanwhile, this was Mum’s day…. Ahhhhhhhh!